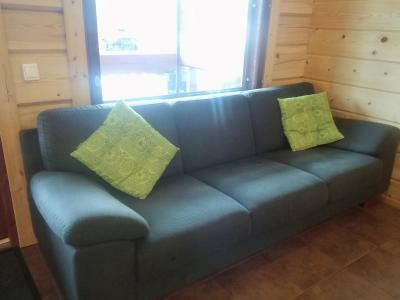 Lock in a great price for Guesthouse Husky – rated 9.5 by recent guests! 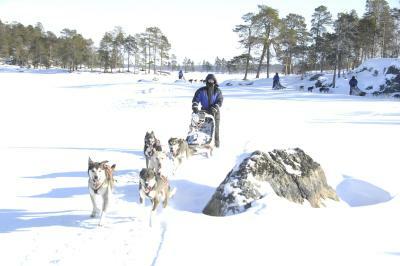 The staff was extremely attentive specially for the persons who took care of the Huskies. You can feel how much they love the Huskies. Very very nice accommodation! Finnish style and lovely breakfast and dinner here. Sunna price is included in the room rate. Kitchen is fully equipment if you would like to cook during the stay it is very handy. 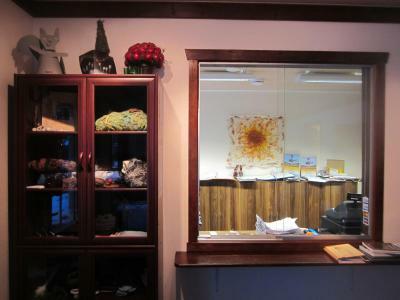 The owner and staff here is very good and reply very quick for emails and any queries. The huskies are behind the house and very nice to play with. It is worthy to stay here. All of it! Its very calm atmosphere, its cleanliness and the people are so nice and welcoming. We really felt like home! Very nice place and friendly people. The food was excellent. 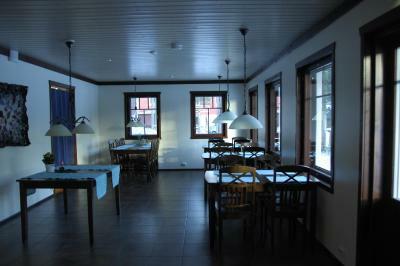 A very nice "B&B like" experience, with tasty local food cooked for guests every day and lots of activities available. Having a sauna in the guesthouse was an enjoyable bonus. Everything was very very good and the staff was very kind. 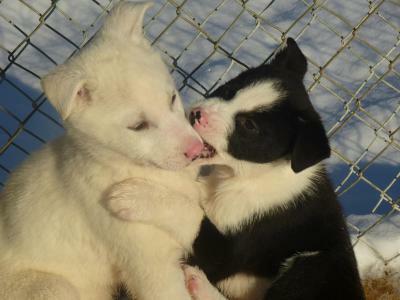 The dogs are amazing and very cute and they love being cuddled. 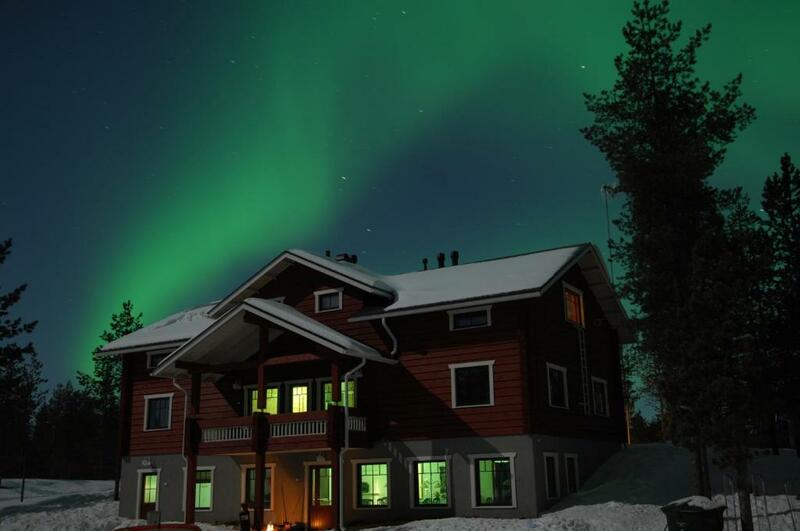 We were also able to see the northern lights with a tour recommended by the hotel during a period of poor activity! 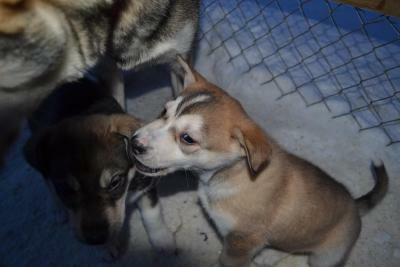 The guesthouse was very comfortable and clean, the kitchen was well stocked, and the husky puppies were adorable! We saw the northern lights from the road by the property. 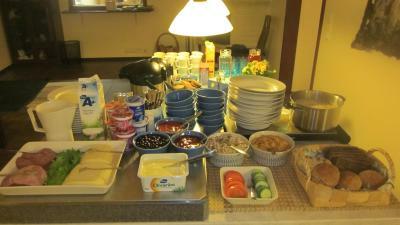 Many breakfast options, and friendly staff. The personal attention from the owners!!! Outi (owner) greeted us as soon as we arrived and had her son bring up our luggage. 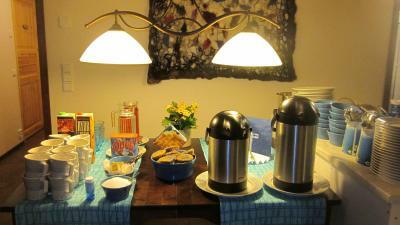 She had home made pastries and goodies for our breakfast which she also served us, and everything was delicious. She was very personable and friendly. There is a kitchen upstairs that we used with the dinner we had brought, but it is clean and all equipped, with dishes, glasses, pots and pans, and the pantry has all kinds of products either provided by owners or left by guests, which anyone can use. The bathrooms are great, and the bedrooms are spacious. The dogs are beautiful and handled with love and care. Great location, the staff was super friendly and even gave us a tour of the Husky dogs. Isolated in the middle of the forest, great for hikes. 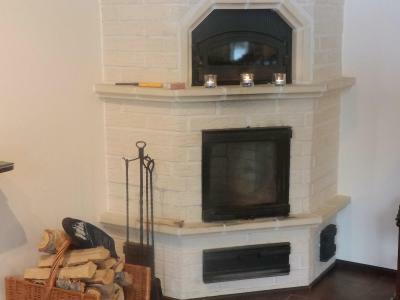 Guesthouse Husky This rating is a reflection of how the property compares to the industry standard when it comes to price, facilities and services available. It's based on a self-evaluation by the property. Use this rating to help choose your stay! 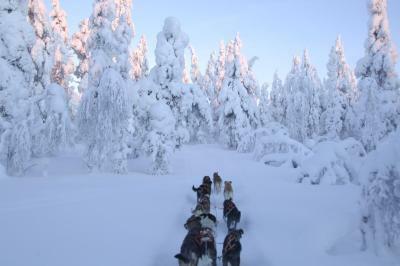 Set on a dog farm in Finnish Lapland, this family-run guest house offers traditional home cooking and husky safaris. 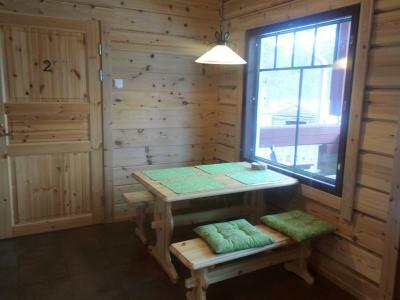 Sauna and WiFi access is free. Ivalo Airport is 9.3 mi away, an 18-minute drive away. 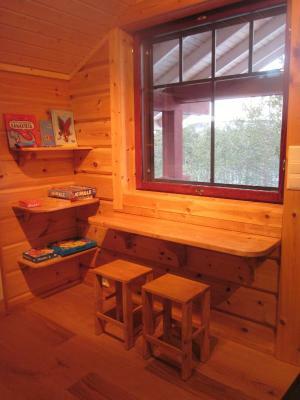 Guest house Husky’s wood-paneled rooms feature basic furnishings, a TV and a private bathroom. Communal kitchen and laundry facilities are also available. 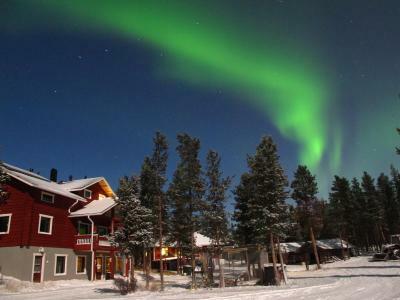 From October until May, guests can enjoy pre-booked dinners with a true taste of Lapland. Free tea/coffee is available all day. Guests can use the free internet computer in the lobby or relax by the fireplace in the dining room. 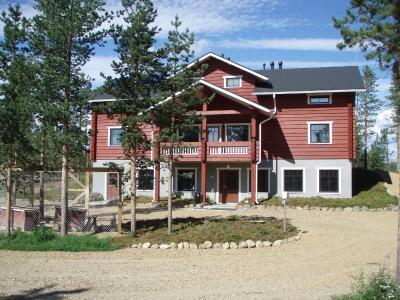 Husky Guest house staff can book snowmobile trips with a nearby operator. 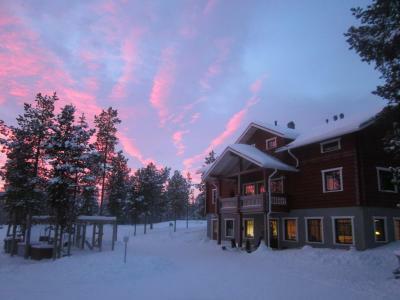 Cross-country skis and snowshoes can be rented on site. 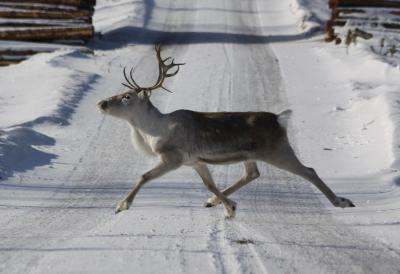 Lake Inari is 20 minutes’ drive away and is known for its trout, arctic char and whitefish. 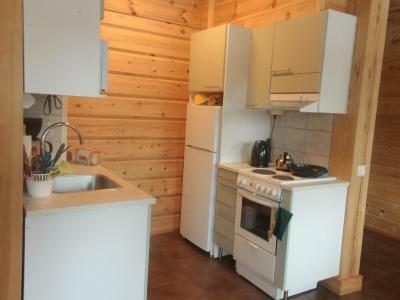 This property is also rated for the best value in Ivalo! Guests are getting more for their money when compared to other properties in this city. When would you like to stay at Guesthouse Husky? 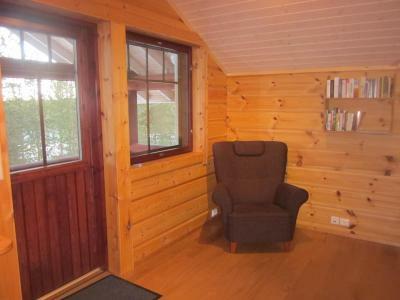 Wood-paneled room with basic furnishings, a TV and a private bathroom. There is no space for an extra bed in this room type. 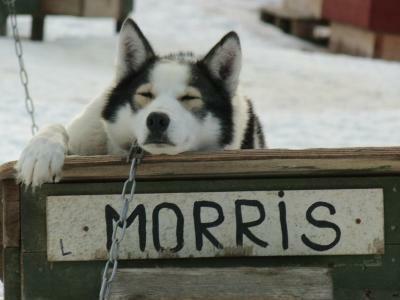 House Rules Guesthouse Husky takes special requests – add in the next step! Debit card Guesthouse Husky accepts these cards and reserves the right to temporarily hold an amount prior to arrival. Guesthouse Husky accepts these cards and reserves the right to temporarily hold an amount prior to arrival. Please note that the restaurant is available for hotel guests only. If you wish to have dinner on site, you must book at least 1 day in advance. The restaurant does not serve alcoholic beverages. Please note that from June until September, the restaurant only serves breakfast. Please inform Guesthouse Husky of your expected arrival time in advance. You can use the Special Requests box when booking, or contact the property directly using the contact details in your confirmation. Cozy room, lovely dogs and puppies, awesome homemade dishes and exciting husky safari...Everything there was really great!! 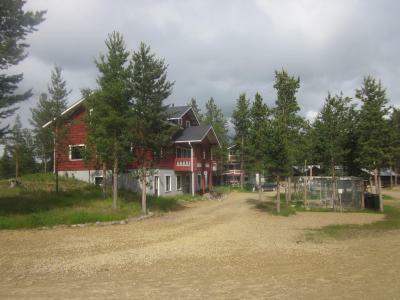 You need to arrange the transport to get there as it is located a bit far from the airport (middle in the forest? ), but that environment enables you to see the northern light just behind the lodge. The family room could be a little bit warmer and more comfortable. Adding a carpet on the floor would be nice. Everything!! I couldn’t fault anything at all. The room, dinner, shower (Rain shower) and the staff were all 5 stars! 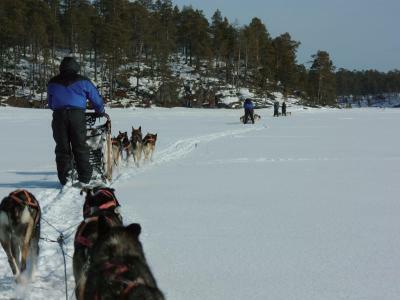 The 4 hours husky excursion was beyond our expectation!!! Guide Posi and Roman were attentive and answered all the questions we had! Definitely would recommend anyone to book and stay with them! Nothing! If you have a light sleep, note that we can hear dogs all the night long (we found it very nice, but could bother some people). 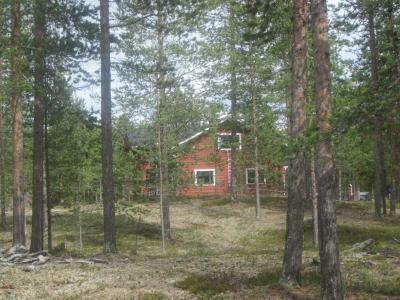 Also, it is better to have a car as it is quite isolated, 10 mins drive from ivalo. The staff is welcoming, the guesthouse is clean and warm, the husky tour with Hendrix was great (nice to have a break in the middle to warm up around a fireplace, and talk about lappon culture). We can visit the dogs on the morning or afternoon, once they are back from their trips. We took dinner there twice, and both were delicious. Cherry on the cake, we could even see a northern light from the garden ! 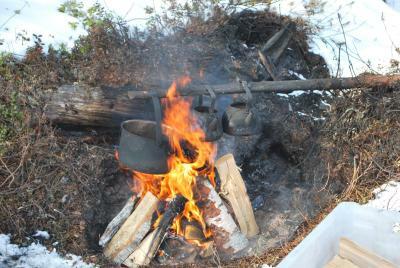 Room, homemade meal, sauna, huskies safaris - everything was perfect! Thank you for your assistance and help prior visit planning and during our stay in Ivalo. Wish you the best and good luck! 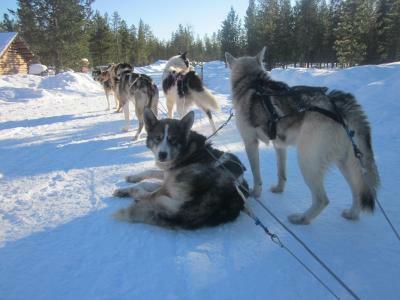 Excellent run guesthouse with authentic Finland husky rides and home cooked food. Would recommend to anyone. The guesthouse was very cozy and clean. Our room had two beds, a sitting area, a bathroom, and a large closet space. 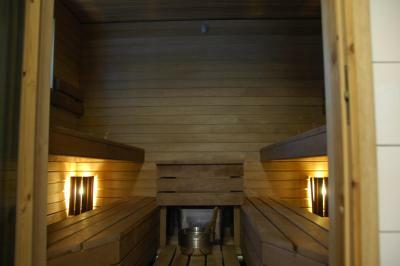 There is also a sauna that you can sign up for daily. The food was delicious and local and they accommodated my needs as a vegetarian. The best part was the dogs— they love people and being pet! Our husky safari was the highlight of our trip. The staff were extremely helpful and did a great job organizing our activities outside of the property, including arranging transportation for us. Good service and the staff is helpful and polite. The huskies were amazing to see! The staff was very nice and helpful. We loved our stay there and would highly recommend it. Very friendly and accommodating staff. The rooms were super comfy and warm even though it's -19 degrees celsius outside! We even got packed breakfast when we had to check out early the next day. Highly recommended!